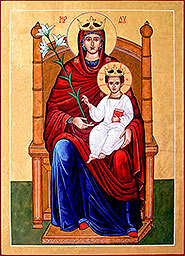 The Southend Ordinariate Mission is based at Eastwood and the clergy are incardinated into the Personal Ordinariate of Our Lady of Walsingham. The Personal Ordinariate of Our Lady of Walsingham was established in 2011 by Pope Benedict XVI to allow Anglicans to enter into the full communion of the Catholic Church whilst retaining much of their heritage and traditions. We exist to promote the unity of all Christians with the Apostolic See, and faithfully to proclaim the Gospel of Jesus Christ through the rich treasures of our traditions. In 2009, Pope Benedict XVI published a high-level document — an Apostolic Constitution — called Anglicanorum Coetibus, which allows groups of Anglican laity and their pastors to enter into the full communion of the Catholic Church, whilst retaining elements of their heritage which are in keeping with the Catholic faith. To enable this to happen, Ordinariates have been established. An Ordinariate, more properly known as a Personal Ordinariate, is a jurisdiction of the Catholic Church, very similar to diocese. However, rather than being based on geography, membership of a Personal Ordinariate is by individual choice - hence ‘Personal’. Membership of one of these Personal Ordinariates is open to those people who come from the Anglican tradition or who have family in the Personal Ordinariate. When former Anglicans become members of a Personal Ordinariate, they cease to be members of the Anglican Communion (or other Anglican body), and become full members of the Roman Catholic Church with all the rights, privileges and obligations of any other Catholic. They are subject to the current 1983 Code of Canon Law and subscribe to the teachings of the Catholic Church as explained in the Catechism of the Catholic Church. In January 2011, the Holy See established the first of these structures, the Personal Ordinariate of Our Lady of Walsingham in England & Wales. Members of the Personal Ordinariate of Our Lady of Walsingham are fully integrated into the life of the Catholic Church, by virtue of having been received into full communion. They are in every sense Catholics, whilst also retaining some of the distinctive elements of their Anglican heritage. These rich traditions, which have helped bring their Christian faith to maturity and enabled them to seek entrance into the full communion of the Catholic Church, are often referred to as ‘Anglican Patrimony’. They include a wide range of different elements, from liturgical services to approaches to pastoral ministry in parish life. Anglican traditions developed from older Catholic traditions, especially in Britain, and so many of these elements are very similar to the services, devotions and traditions already familiar to Catholics. Unlike the Eastern Catholic Churches, we cannot describe this as a different Rite or Church, but rather a nuance of the Latin, or Western, tradition. As members of a Personal Ordinariate are full Catholics, they may receive the sacraments in any Catholic Church. Likewise, any Catholic may receive the sacraments from a Priest of a Personal Ordinariate - it is no different from stepping into a neighbouring diocese. Attending a Sunday Mass celebrated by a Priest of a Personal Ordinariate, for example, fulfils the normal obligation. Whilst upholding and defending the Church’s discipline of celibacy, on a case-by-case basis former Anglican clergy who are married may be ordained for service in a Personal Ordinariate. This is a decision which is made by the Ordinary, and which must be approved by the Holy See. ‘The Ordinary’ is the title given to the head of a Personal Ordinariate. This man must be a Priest or a Bishop but, according to the Tradition of the Church, a married man can never be granted permission to be ordained as a Bishop. The Ordinary has overall responsibility for the Personal Ordinariate, and has the same rights in Canon Law as a Diocesan Bishop, and he sits as an equal on the Bishops’ Conference. Within the Personal Ordinariate certain services may be celebrated which have been drawn from the Anglican tradition. These include the traditional celebration of Evening Prayer, known as Evensong, of Morning Prayer (Mattins), and a Marriage and Funeral service familiar to those formed in the Anglican tradition. Priests of a Personal Ordinariate may celebrate Holy Mass using certain texts which have been approved for use by the Holy See, or according to the Roman Rite in either the Ordinary Form or Extraordinary Form. In all of these celebrations, the richness of the Anglican musical tradition can often be found. Particularly in collections of hymns and anthems - often with a traditional choir - rich theological and devotional language is found set alongside well-written music which has a broad appeal and is easily learned. The Lectionary (Readings at Mass) used in Ordinariate services is the Revised Standard Version (Second Catholic Edition), which draws on the English bible tradition of translation, keeping many of the phrases and sayings found in literature and poetry. Only those elements of the Anglican tradition which are compatible with the Catholic faith are authorised for use in the Catholic Church, whilst other elements of the Anglican tradition may be revised to bring them into conformity with the wider understanding of the Catholic Church. Clergy who come from the Anglican tradition will often have had a different experience of parish ministry from that of most Catholic clergy. Differences may include their approach to visiting or ministry to the entire local area - rather than just those registered to the parish. Obviously this approach comes from having smaller congregations, but it also reflects the practice of pre-Reformation parishes in England. Within the Personal Ordinariate of Our Lady of Walsingham there is a particular charism for mission and evangelisation. The Ordinariate exists to promote and teach the Catholic faith alongside fellow Catholics in England and Wales, while also bringing this experience of parish ministry from Anglicanism. As the Ordinariate grows, an emphasis on the importance of the bringing of all people into a greater relationship with Christ and the Church will remain at the heart of its daily work. If you would like to assist the work of the Personal Ordinariate of Our Lady of Walsingham speak to any of the St Peter's clergy team.